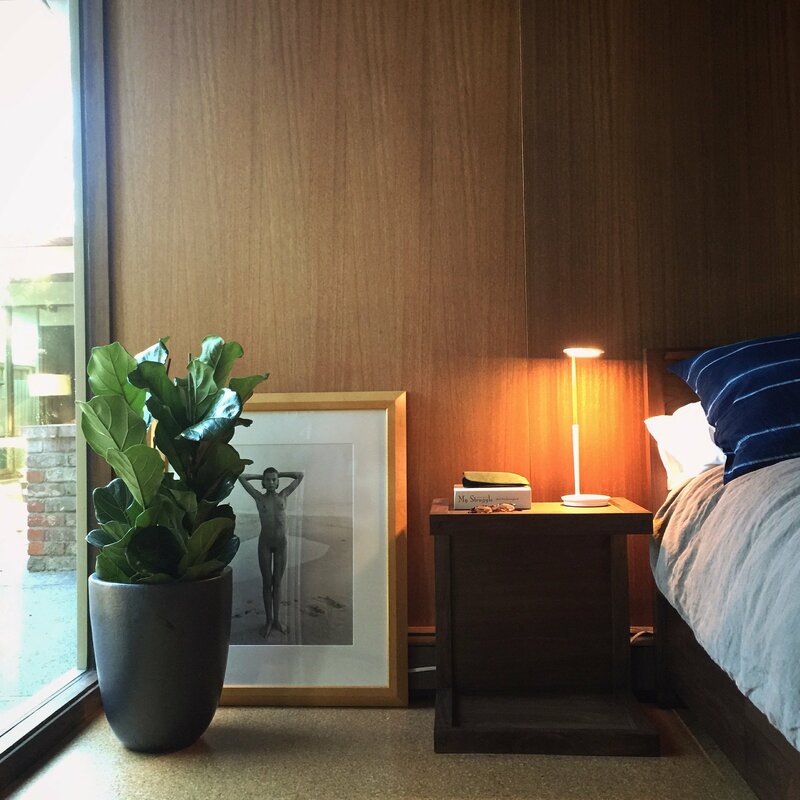 “Living in an Eichler was not something we were at all seeking. It sort of found us, or we found each other”. 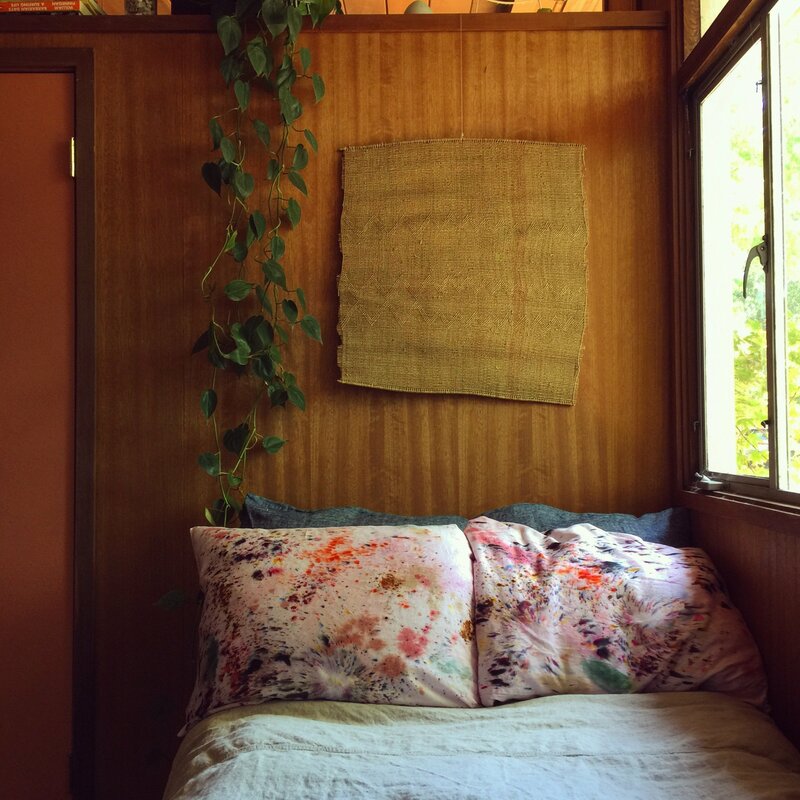 This is how Amy and her partner, Sean, describe starting their adventure as Eichler homeowners: sometimes it is just meant to be. My partner, Sean, and I work in Healthcare. As hospitals are typically not the prettiest of places, we look for beauty outside of work as much as we can. 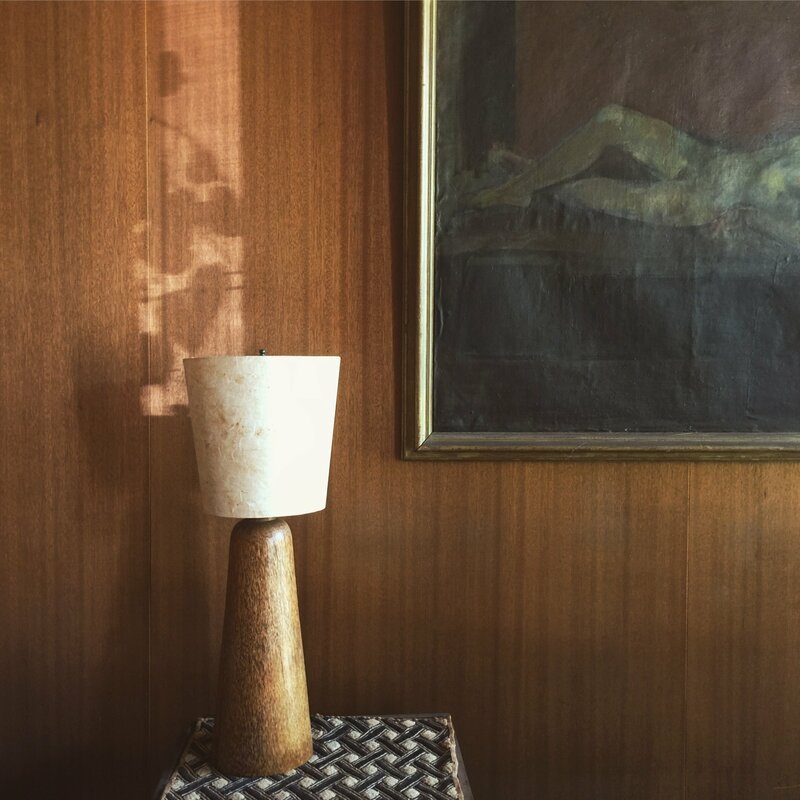 Sean is a long-time lover of mid-century design and architecture and a collector of mid-century furniture, lighting and objects. I caught the bug from him: now I‘m obsessed! 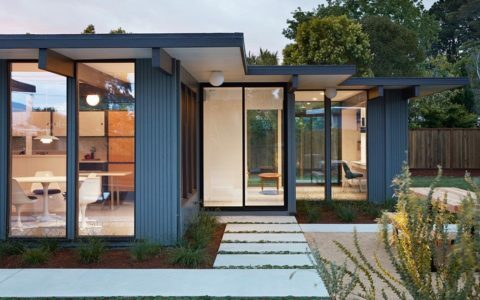 Following on from that, what brought you to live in a Eichler? 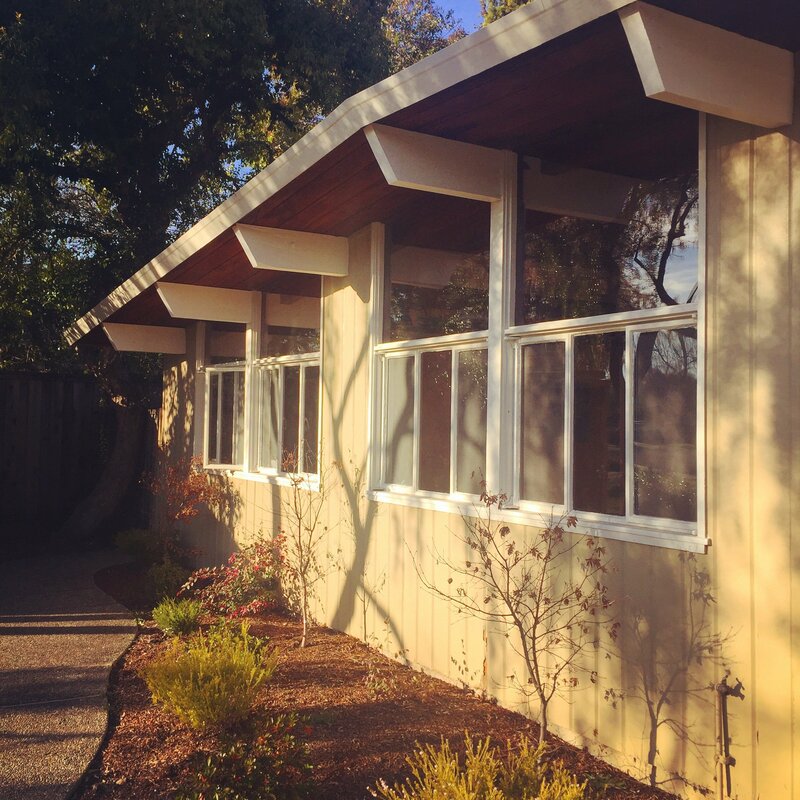 Living in an Eichler was not something we were at all seeking. It sort of found us, or we found each other. It was one of those meant-to-be things as it suited our aesthetic so perfectly. We found ourselves needing to move closer to work, which forced us out of our home in the Mission in San Francisco. Not knowing too much about housing in the Palo Alto area, we were pretty depressed about what we were expecting to find. We had literally just started talking about our move out of the City. 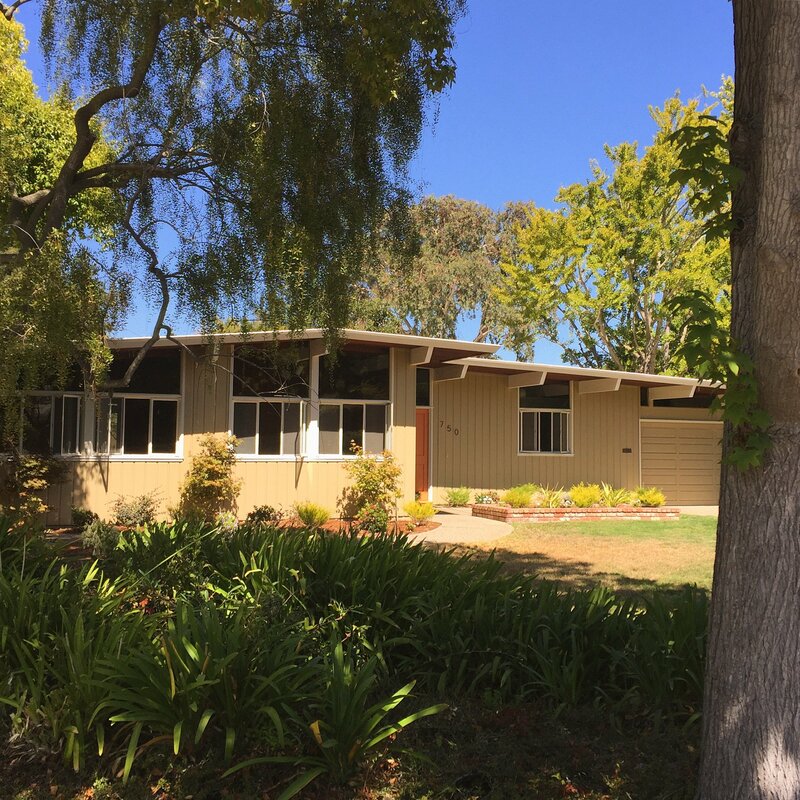 I hopped on Redfin to begin what I thought was going to be a long and painful search, the housing market in this area is completely nuts, and our Eichler was one of the two or three homes I found in that initial search. 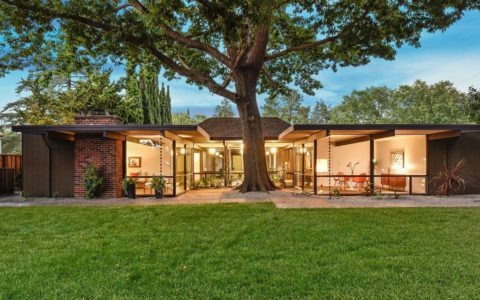 The photos revealed an untouched Eichler on a large lot that seemed too good to be true. It had just come on the market a day or two earlier and hadn’t had an open house yet. We went that weekend to see it and put in an offer the following Monday. 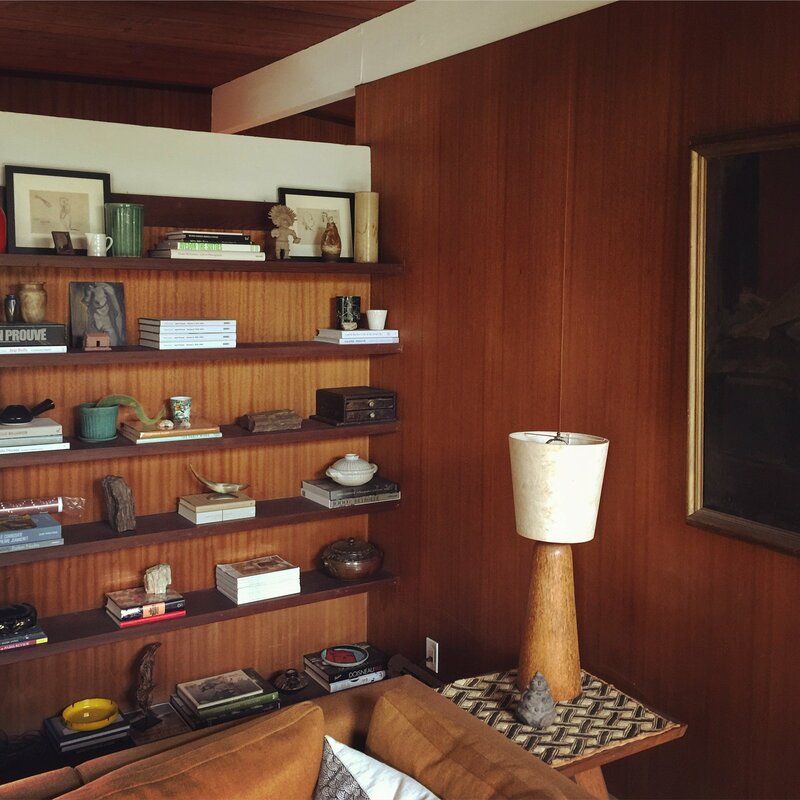 What did you know about Joseph Eichler and his work before buying the house? 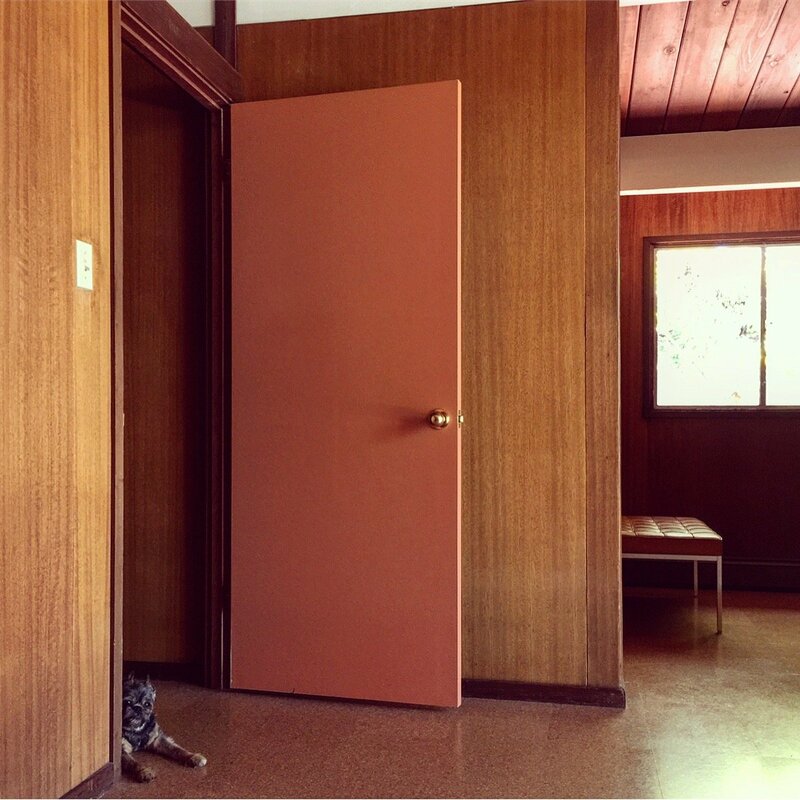 I’d say we had a fairly basic understanding of Eichler’s work prior to buying our home. We were aware that he had built thousands of homes in San Francisco and the Bay Area and had lived in one himself until he died. 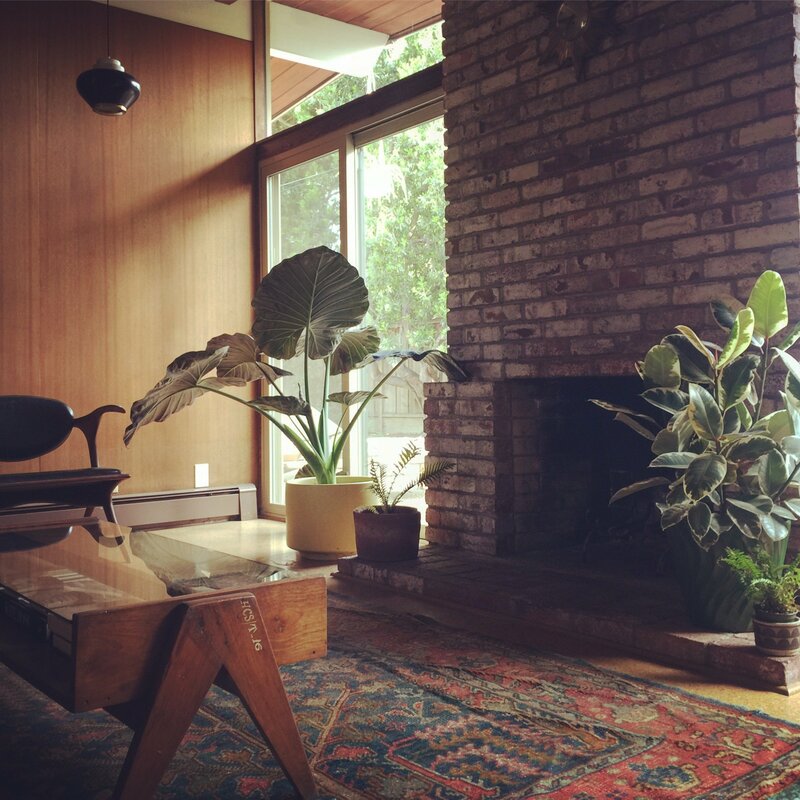 For us, the mastery of blending functionality and beauty is what makes these homes and the mid-century period so special. The desire to provide accessibility to all, strikes another chord for us. So much thoughtfulness went into these mid-century designs, which seems to have been lost since. We’re grateful everyday as we feel we’ve been handed the loveliest living experience thanks to all the thought and care that went into the design to ensure the inhabitants in each one was as positive as it could be. No major renovations were needed as the house was truly untouched. 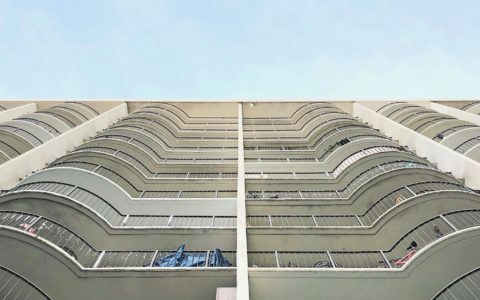 It was almost as no one had lived in it since it was built in 1952. The kitchen and bathrooms had some renovations prior to putting it on the market, which we plan to restore to something closer to the period at some point. The only thing we needed to do was upgrade the electrical component, to allow it to handle modern technology and all of our kitchen gadgets and appliances: we love to cook! When the time for a renovation will come, will you feel the responsibility/pressure to maintain the original style? Yes, we do feel a level of responsibility to respect and honor the home by maintaining its original style. The previous owner did such an a amazing job and we want to continue that. It’s funny because we felt a bit constrained in our previous home regarding interior design choices, but not now. 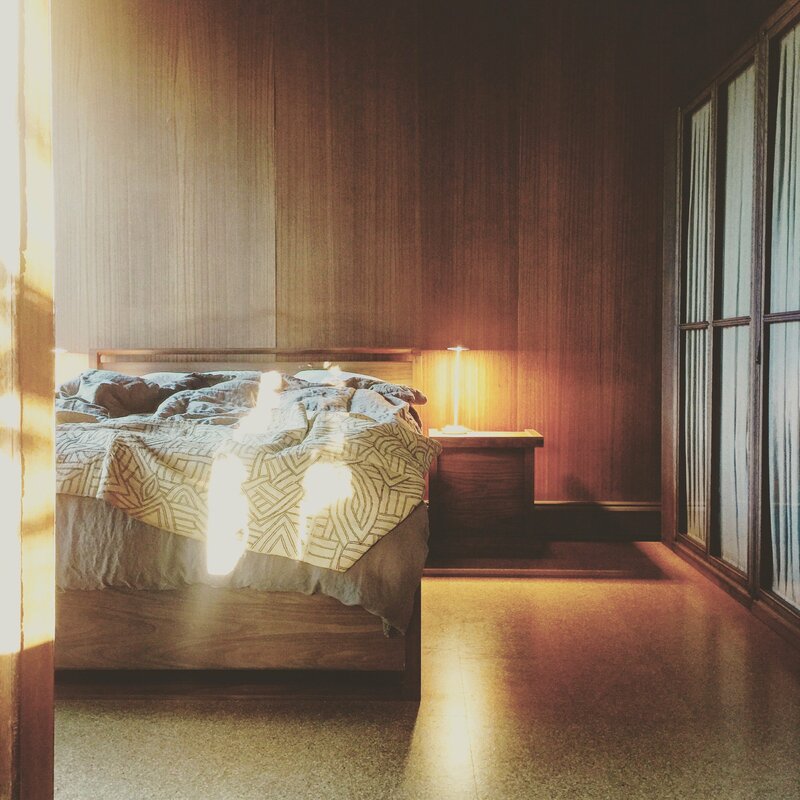 We were living in a San Francisco Victorian where some of our mid-century pieces worked. But many others ended up in a nearby storage unit where they sat in the dark for a few years. So, this home really felt liberating as every single piece found its perfect place. Not necessarily. It’s great fun if one can afford it otherwise you need to be creative and patient. We’ve searched Craigslist, scoured markets and even found things on the side of the road. 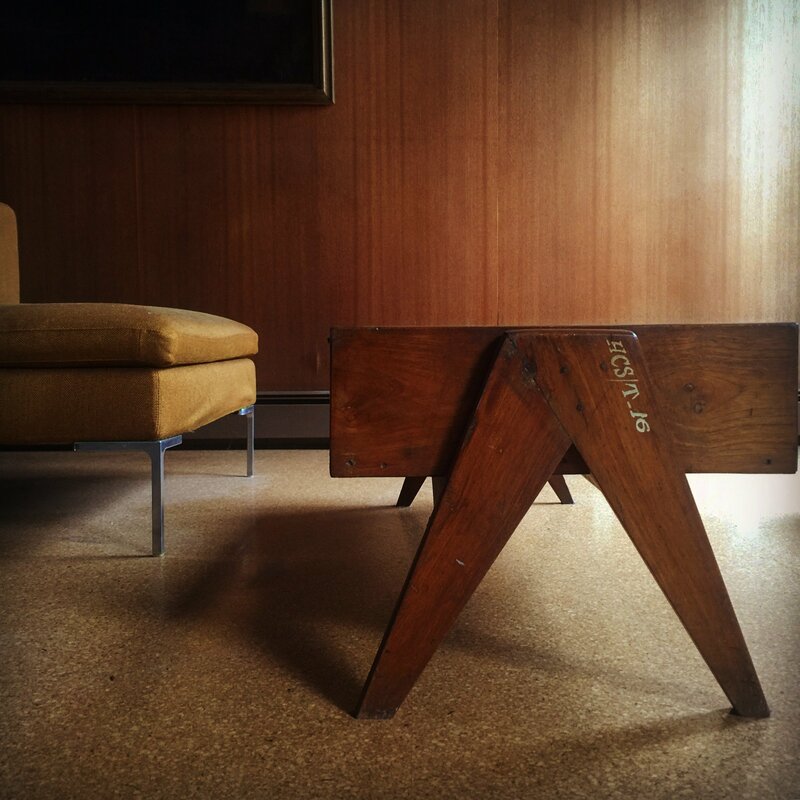 We mostly used the original mid-century pieces that we already had, but to fill in the gaps we’ve had fun hunting. There’s nothing wrong with sprinkling in new pieces. We have outdoor furniture, bedroom furniture, and a media console from DWR that have blended in beautifully. 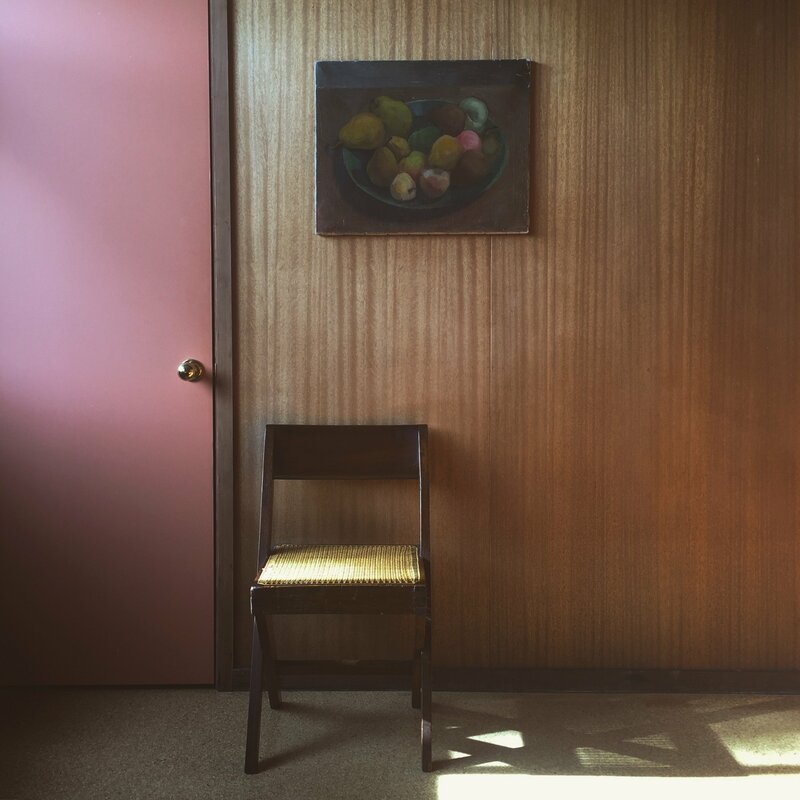 The thoughtful and functional design make living so easy: Eichler’s concept of “bringing the outside in”, changed our lives. Our previous home was a bit on the dark side and lacked windows that looked out onto greenery and pleasing views. But here, every single room has wonderful natural light and great big windows looking out to our yard and giant trees. The outside is actually part of the interior home and the inside living experience. The original mahogany walls and the original paint colors on the doors create a warmth unlike anything we’ve ever experienced in a home. To be enclosed in such a visually pleasing structure really does make a difference in the day-to-day life. The house feels alive and as is giving something to us. It really is a living presence in our family. Disadvantages, the only one I can think of is the windows. They’re both an advantage and a disadvantage. It can at times be a little like living in a fishbowl: we have to be fully dressed when walking around certain parts of the house. Well, there are still some gems out there that have had little done to them. These are the ones to search for. And patience is key: we definitely got lucky. It’s important to know the various architects Eichler worked with to determine which styles one prefers. Some have atriums, which are wonderful, some don’t. 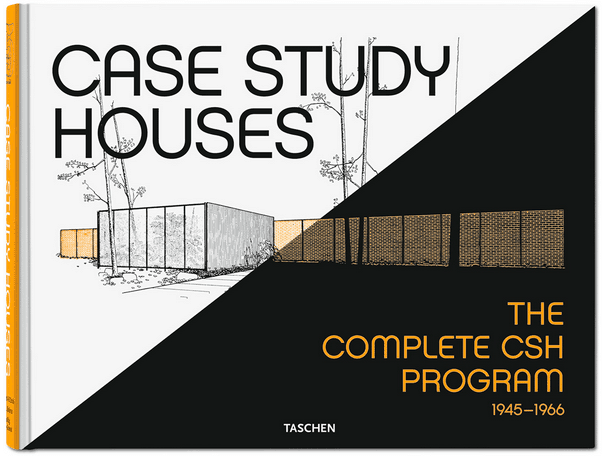 Things like that are good to know when starting a search for an Eichler. Also, as most have been renovated in some way, it’s good to know what you’d be willing to sacrifice. 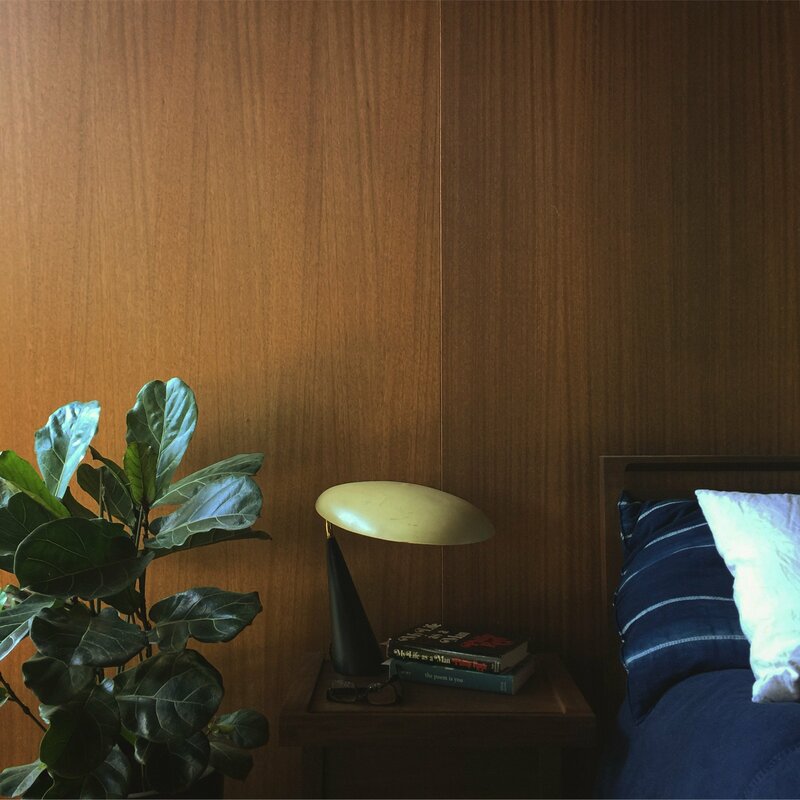 For us, the original mahogany walls were key. Those had to be there. We were willing to sacrifice the kitchen and bathrooms, feeling that these things would be easier to restore than finding original mahogany for walls that have been drywalled and painted.